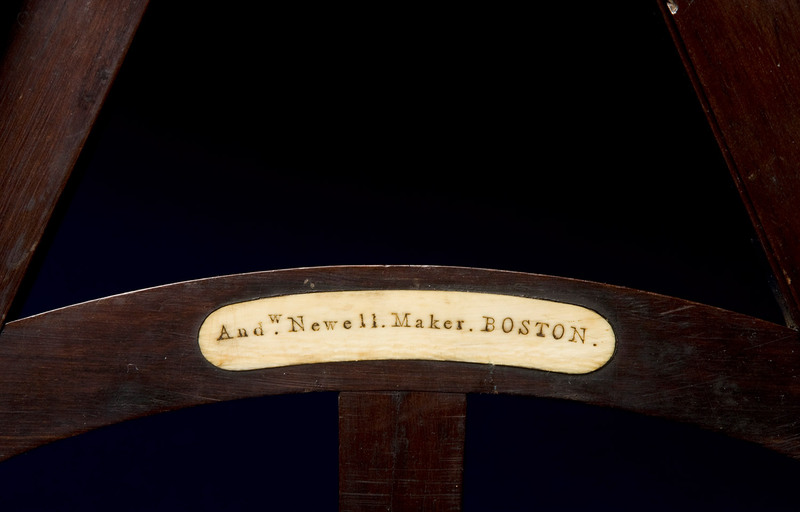 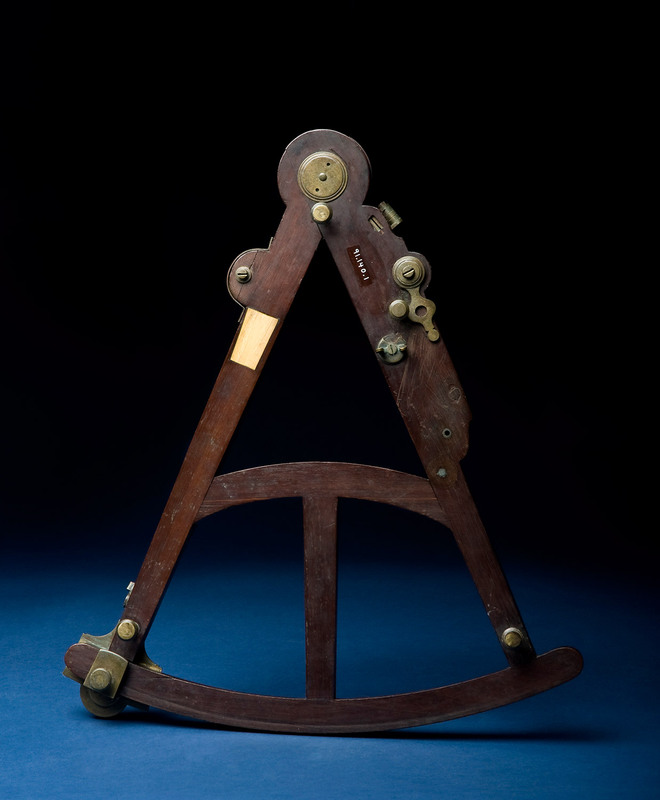 Octant marked: "Andrew Newell / Maker / Boston," about 1800. 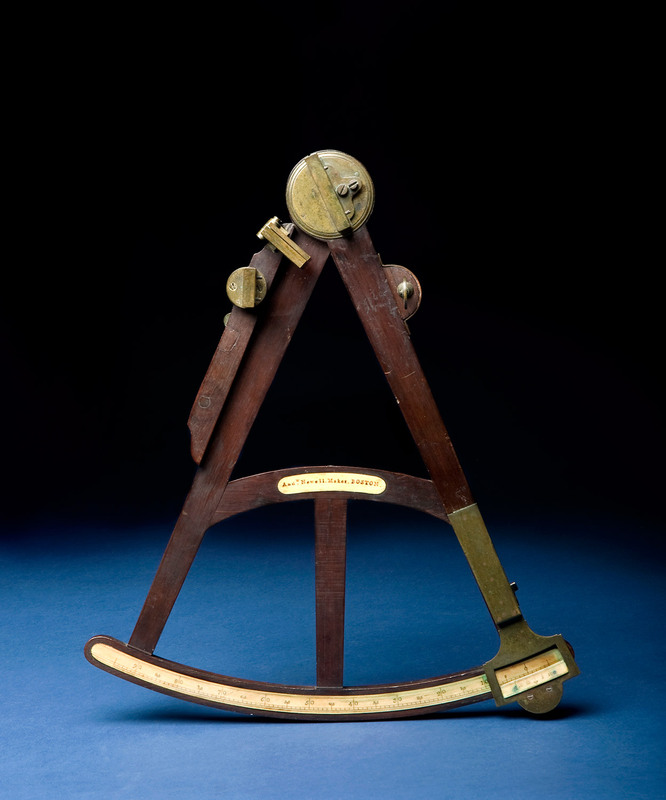 Independently invented in England and the United States in 1730s, the octant is a portable instrument for measuring the angle of the Sun, the Moon, or a star above the horizon. 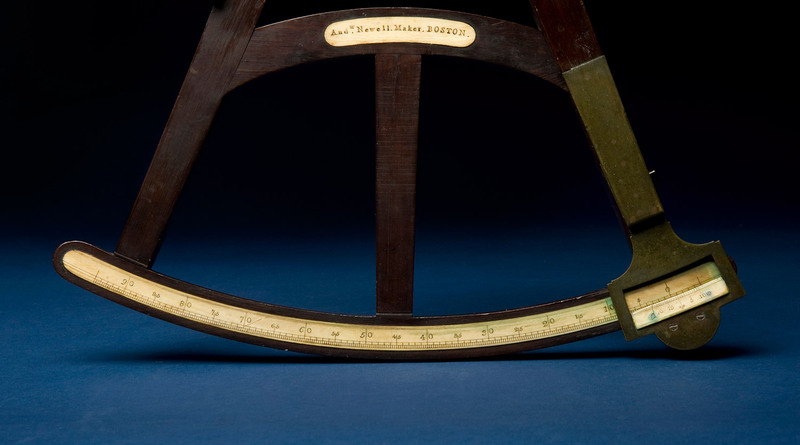 The instrument’s name comes from its scale, which is 45 degrees or 1/8th of a circle.